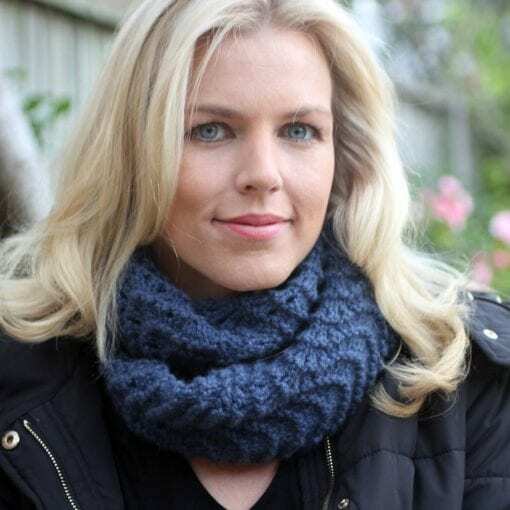 Double length cashmere cowl using 3 or 4 balls of Altopiano (3 if just using one colour). 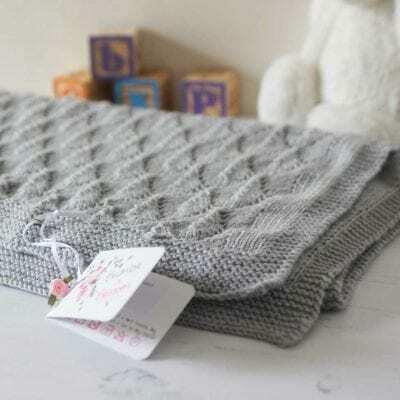 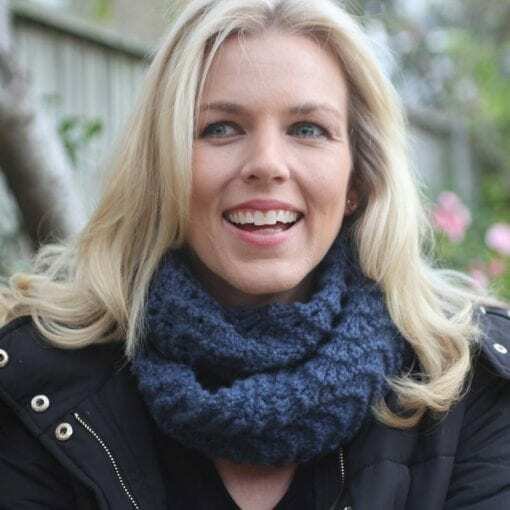 This warm cowl is guaranteed to keep you or someone you love warm throughout winter without the waste of a scarf. 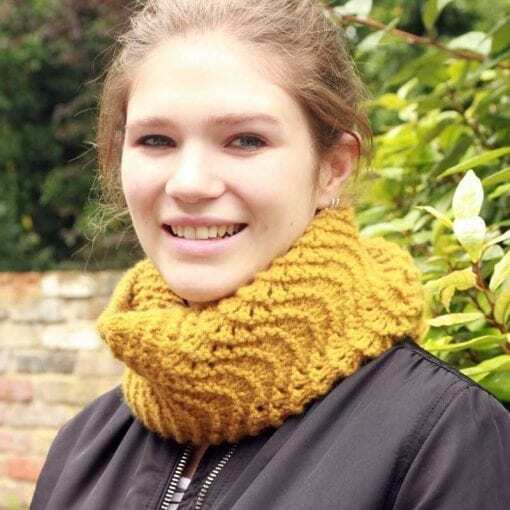 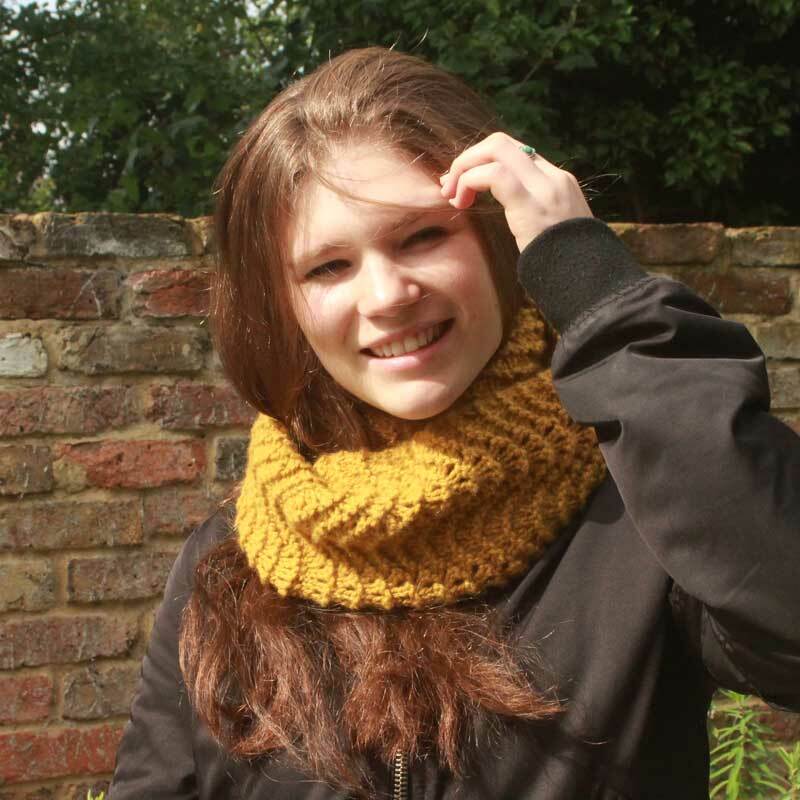 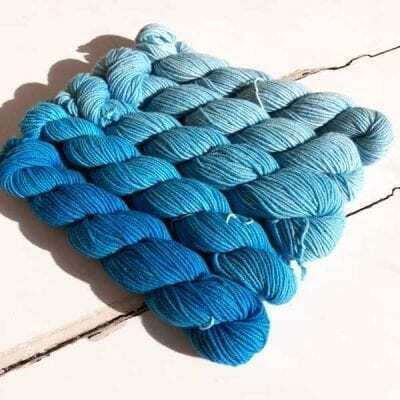 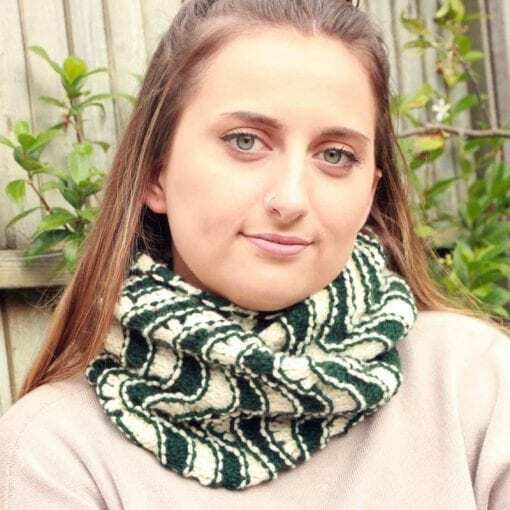 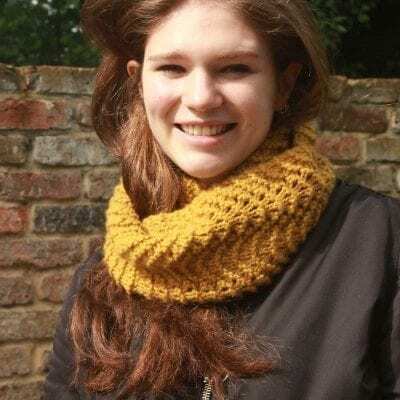 Knitted in a simple feather and fan stitch repeat it wraps nicely round your neck twice.